Shalom. Our message this morning is from Genesis 46.1-7. The prophecy is coming to fulfillment. GOD’s prophecy, I should say, is coming to partial fulfillment. GOD had promised Abraham some 200 years earlier that his descendants, the children of Israel would be strangers in a land not theirs. That land turned out to be Egypt. And GOD used Joseph as His instrument to bring the Jewish people the children of Israel, into Egypt, the land that is not theirs. And in this prophecy of Genesis 15.13, GOD said to Abraham, “know well that your offspring will be strangers in a land not theirs, and they shall be enslaved and oppressed 400 years”. And the prophecy continued. “But I will execute judgment on the nation they shall serve, and in the end, they shall go free with great wealth. And they shall return here to Canaan, which GOD renamed Israel, in the 4th generation, for the iniquity of the Amorites, that is the Canaanites, is not yet complete”. When the sun set, and it was very dark, GOD made a covenant with Abraham saying, to your offspring I assign this land which became Israel from the river of Egypt, to the great river, the River Euphrates, and all the Canaanite nations”. Joseph and his father Jacob, and all his family have partially fulfilled this prophecy. They have all come into Egypt as of this writing. Some 4,000 years ago in Genesis Chapter 46. GENESIS 46.1 Israel is Jacob. GOD gave Jacob the name Israel after he wrestled with Jacob while he was returning from Syria, having worked for his Uncle Laban for 22 years. Jacob left Canaan to flee from his brother Esau. He had nothing but the clothes on his back. Now he is returning home to Canaan with his 2 wives, Leah and Rachel. His 2 women servants, 11 sons, 1 daughter, his servants, flocks and herds and camels. His youngest son Benjamin is Jacob’s only child born in Canaan. His birthplace was near Bethlehem. And Jacob sent messengers to his brother Esau and told them, say to my brother Esau, I hope we can be friends, and you will not hate me. And the messengers returned to Jacob, and said, we came to your brother Esau and he is coming to meet you, and 400 men with him. And Jacob was frightened and distressed, and he divided the people that were with him, and the flocks and herds and camels into 2 groups, thinking, if Esau attacks 1 group, the other will escape. And Jacob prayed to The LORD GOD for deliverance from Esau. And Jacob sent Esau a present, a great number of animals from his flock and herds. And he sent the present by his servants to tell Esau, your servant Jacob is behind us. Hopefully, Jacob thought, when I see Esau, he will accept me. And the night before meeting Esau, Jacob wrestled with a Man from evening to daybreak. That Man was GOD, The GOD of Creation Who is Yeshua ha Mashiakh, The GOD of Abraham, Isaac and Jacob, The Holy One of Israel. – This is the 1st time Israel is mentioned in The Bible. – The name Israel is written some 2,567 times in Scripture. – Jacob is Israel, the father of the 12 tribes of Israel, originating from his 12 sons. – When Jacob met Esau and his 400 men, Esau ran to meet him. And embraced him, and fell on his neck and kissed him, and they wept. GOD answered Jacob’s prayer (Genesis 33.4). GENESIS 46.1 All that he had. Everyone in his family, his children and grandchildren, their flocks and herds, all their possessions, and they left for the land that was not theirs, Egypt. Beer-Sheeba – Bayr-Shehvah – well of an oath, is in Southern Israel in the Negev on the way to Egypt. And Jacob offered sacrifices to The LORD. The sacrifice was to make atonement for his sins. It was the precursor, the forerunner of the sacrificial atonement of Messiah Yeshua. The Torah, or The Law reads in Leviticus 17, all sacrifices must be offered at the Temple, and because there is no Temple in Israel today, there are no animal sacrifices. Yeshua is our sacrifice for forgiveness for all our sins. However, the sacrifice will be reinstated and brought back in The Millennium when The Millennial Temple is built. Read Ezekiel Chapters 40 through 48. Also, before Jacob offered sacrifces to The LORD, Abel also offered sacrifices to The LORD as did Noah, Abraham and Isaac. GOD spoke to Israel in the visions of the night and said, Jacob, Jacob, and he said, Here am I. And GOD said, your name shall be called no more, or no longer Jacob, but Israel. So why does GOD call Israel Jacob? The words in this verse, “no more or no longer” are a mistranslation from the original Hebrew word. It does not mean “no more, or no longer” shall your name be called Jacob, but Israel. The original Hebrew word is ODE which means, again and again or continually. Thus GOD said to Jacob, You will not be called by the name Jacob “all the time”, or “again and again”, but you will also be called Israel. So Jacob is called Israel, but his name is still Jacob. GENESIS 46.2 VISIONS – MAHROTE – visions. Webster’s Dictionary describes vision as something seen in a dream or a supernatural appearance that conveys a revelation. Here the supernatural appearance is GOD. So the visions of the night could have been dreams of GOD speaking to Jacob, or an actual appearance of GOD speaking to Jacob. I believe the visions of the night were in fact actual appearances of GOD speaking to Jacob in a vision and not a dream. GENESIS 15.1 Abraham had an interesting vision. The Word of The LORD came to Abram in a vision. Thus, Yeshua The Messiah came to Abram either in a dream or he actually appeared to Abram and said, fear not Abram. I am your shield and exceeding great reward. I believe this was not a dream but an actual appearance of The LORD in a vision. An entire conversation took place as well as a sacrifice. When it was dark, a smoking furnace, and a flaming torch passed between those pieces. And GOD made an historically huge prophecy with Abraham. NUMBERS 12.1-16 (Verse 8) With Moses I will speak Mouth to mouth, that is Face to face, and I will speak plainly to him and not in riddles. And he sees My appearance, that is My body and form. Why then were you not afraid to speak against My servant Moses, The LORD said? SIMILITUDE – TEMUNAH – form, His appearance, His body. VERSE 6 With prophets, GOD makes Himself known to them in a vision, and speaks to them in a dream. Not so with Moses. GOD spoke Face to face with him as a friend speaks to a friend. (Psalm 17.15) LIKENESS – TEMUNAH – His Form, His Body, when we see Him, GOD and Messiah, we will be like Him, having the same type of spiritual body He has. Beautiful and magnificent. ACTS 9.10-19 Ananias saw The LORD in a vision, not a dream. GOD The Messiah appeared to Ananias in a vision but not an actual appearance as The LORD spoke to Moses, Face to face, Mouth to mouth, Body to body. GENESIS 46.2-3 FEAR NOT – AL TERAH – don’t be afraid or frightened, don’t fear or be terrified. important teachings in The Bible about fear. Certainly fears crop up often in Scripture, and perhaps often in our own lives also. But 2 very important teachings on fear are taught in The Word of GOD. 2. Except, we all must fear GOD. For example, those of us like Abraham who are of faith, who obey GOD, His Voice, His Commandments, His Statutes and His Laws (Genesis 26.5) do not have to fear anything or anyone because GOD is our shield. He always protects us. SHIELD – MAHGAYNE – a shield, a protector. GOD Almighty is our shield and protector. Exceeding great reward or your reward shall be very great, which in part is; we have all GOD’s Covenants of promise, we always have hope in Him and His help, always, His blessings and deliverance always, and eternal life. And in eternity, in The Millennium and in Heaven, everything that belongs to Him, belongs to us, and so much more. On the other hand, GOD commands us to fear The LORD our GOD. The word fear comes from the Hebrew word YAHRAY which means fear. To fear GOD, be frightened of GOD, afraid of Him, terrified of Him. And that is all for our good. To reverance GOD. That is honor Him, hold Him in high esteem, respect Him and appreciate Him in love, with all our heart, and with all our soul, and with all our might. DEUTERONOMY 6. 2 teaches us how we prove to GOD, and to ourselves that we fear GOD. That proof comes from obeying The LORD GOD. PROLONGED – AHRAKH – long life and eternal life. EXODUS 14.13-14 Fear not. GOD will always deliver you. You believe in Messiah, now do what GOD requires of you. Fear GOD. Follow The LORD your GOD, keep His Commandments, obey His Voice, serve Him and cleave to Him. That is how we are to live our lives. That is how we work out our own salvation. By fearing GOD, Paul teaches, and with trembling. The Book of Revelation teaches every nation, every race, every language, and every person to fear GOD. (Revelation 19.2) the great whore is the world, and the people in it. FORNICATION – a metaphor comparing fornication with lawlessness, breaking GOD’s Torah, His Law of Moses. At her hand – GOD punished and will punish those who shed the blood of His saints. (Revelation 19.9) All GOD’s servants, and all they that fear GOD will be called to The Marriage Supper of The Lamb. So in conclusion: fearing GOD is a commandment, GOD speaks over and over, again and again. Fearing GOD is evidence you and I keep all His Commandments, all His Laws, and all His Words always. And GOD promises you, if you fear GOD, it will go well with you, and your children forever. And that includes your grandchildren and your descendants. Shalom. We are continuing with the story of Joseph and GOD’s promise to his great-grandfather Abraham, that his descendants, the children of Israel will be strangers in a land not theirs. That land was Egypt. And GOD’s prophecy is beginning to unfold. Our reading is from GENESIS 45.16-20. 45.16 FAME – News or report. And the news was heard in Pharaoh’s house. This was the news heard in Pharaoh’s house, and the course of events leading up to that moment. Joseph’s eleven brothers had returned to Egypt a second time to buy grain because of the severe famine that was not only in Egypt but also in the land of Canaan where Joseph’s family lived, and all the surrounding countries. And there they are, his eleven brothers standing before him, the ruler and governor of Egypt, not knowing who he was, their younger brother Joseph. But Joseph knew well who they were. And Joseph was in charge of selling food to all who came to buy, even his brothers. However the first time they came to Egypt to buy grain, it didn’t work out too well for them. Joseph accused them of being spies and tossed them into jail for 3 days. Then he sent his brother Simeon to prison, and commanded them to return to Canaan on their donkeys and bring their youngest brother to him as a condition to buy grain and release Simeon. Although, he sent them back to Canaan with sacks full of grain, and restored their purchase money unknowingly to them in their sacks. And when they saw the money, it sent chills up their spines. They were frightened. And when they arrived in Canaan and told their father Jacob that the governor of Egypt said, you will not see my face again unless you bring your youngest brother to me, Jacob emphatically refused thinking the same fate would happen to Benjamin that happened to his son Joseph. In some way he could lose Benjamin as he lost Joseph. All those years, he thought Joseph was dead. But because of the circumstances, Jacob consented and the brothers returned with their youngest brother Benjamin. And here they are again, his eleven brothers standing before him, the governor of Egypt, and not knowing he is their brother Joseph. But Joseph couldn’t control himself any longer. He couldn’t hide his feelings and emotions for them. His little game of revenge had run its course, driving them mashugah, crazy. He had put his brothers through enough grief. Accusing them of being spies, locking them up in prison for three days, then sending his brother Simeon to jail while he sent his brothers back to Canaan to bring their youngest brother back with them as a condition to buy grain and release Simeon from prison. And talking roughly to his brothers through an Egyptian interpreter. Then having his silver cup secretly put in Benjamin’s sack, and accusing him of stealing it. And threatening his brothers that Benjamin must remain in Egypt as his servant, and you guys can go back to Canaan. Buy what grain you need, and have a nice day. But Benjamin remains with me. He is now my servant. But Judah came near to Joseph and pleaded with the governor of Egypt, all the time not knowing he is talking to Joseph his brother. And Judah said, I am responsible for the lad. Let me be your servant, he pleaded, and let the boy return to his father or else I will have to see the evil that will overtake my father. But Joseph couldn’t control himself any longer. And he commanded all the Egyptians to leave, and he was alone with his brothers. The emotions after all these years, this overpowering moment. It was time to reveal himself to them, to cry and rejoice with his family, and reconcile with his brothers for what they had done to him. He could not hold back, he was so overwhelmed that he broke down. He loved them, and he wept and sobbed so loudly that the Egyptians could hear him in his house. And he said to them, I am Joseph, is my father alive? In shock, in disbelief, in amazement they were speechless. They could not even answer him. And Joseph said to his brothers, come near to me. I am Joseph your brother whom you sold into Egypt. But this was all GOD’s plan to fulfill His promise He made to their great-grandfather Abraham some 200 years earlier, to bring the children of Israel into a land not theirs, to make them a great nation. The land that was not theirs turned out to be Egypt. And GOD used Joseph and his brothers to carry out His Plan. 45.17-28 This story is a lesson for all Believers in Messiah. This event, this story of Joseph and all the troubles he experienced, is evidence that when GOD is using us for His purpose, or even for our own purpose, there may be some troubles along the way, some heartache and suffering. But like Joseph and his father Jacob, GOD will revive us, and restore our joy, and heal us. And part of our walk with Messiah is that from time to time, as Paul writes in 1 Thessalonians 3.3, we are appointed to afflictions, to troubles and some suffering. But GOD ALWAYS delivers the righteous. That is His promise, and GOD always keeps His promises. But first of all, what does it mean to be righteous? Let’s look at some of the promises of GOD for deliverance of the righteous. No matter how difficult our testing or problem may be, GOD is able, even in the times of testing, to give us even more than we ask or think. Even when we are going through difficult times. Joseph never thought in a million years about becoming the governor of Egypt. GOD also, I believe, has a purpose for every one of us, and that is perfection. GOD wants us to walk before Him and be perfect. Impossible? No. Hear what The Bible says about being perfect before GOD. 1 KINGS 8.61 Explains what it means to be perfect with The LORD our GOD. STATUTES – KHOOKEEM – GOD’s Torah, His Law of Moses. ommandment or law that is difficult to obey. No not one. In fact, they are easy. See 1 John 5.3. GOD would have us all to be perfect before Him, obedient to His Laws, His Statutes, and His Commandments. And GOD will bless you abundantly, and deliver you from every problem. YOU MAY ABOUND to every good work: you may be able to provide abundantly for every good cause. JOHN 10.10 The life that you will have more abundantly, comes from being perfect before GOD. Obeying Him, walking in His Statutes, keeping His Commandments. That is having your heart perfect with The LORD our GOD. Being perfect before The LORD GOD, having our heart perfect with The Almighty GOD and Messiah, REQUIRES REPENTANCE, turning to GOD, and putting a stop to all sinning and obeying Him. It is a requirement of GOD. 2. REPENT – SHOOV – to turn back, to turn to GOD. 3. A simple understanding of repentance is found in Ezekiel and applies every time the word repent or repentance is used in The Bible. REPENT – SHOOV – turn to GOD. This teaching or explanation applies to every teaching on repentance throughout the entire Bible from Genesis through Revelation. Turn to GOD, and turn from sin. Sin is breaking Torah, The Law of Moses. True belief in Messiah Yeshua is being perfect with GOD. Believe in Messiah and repent. Obey GOD, His Law and His Commandments. ACTS 26.15-20, 2 TIMOTHY 2.23-26, VERSE 25 – oppose themselves – oppose The Truth. Repentance is this. Turn yourselves from all your trangressions so iniquity will not be your ruin. Trangresssions, iniquity and sin are the same. They are breaking The Law of Moses. But turn to GOD and keep all His Statutes, and do that which is Lawful according to GOD’s Law of Moses and GOD will give you a new heart, and He will give you The Holy Spirit, and you will live and not die. That is how the true Believer in Messiah lives his or her life. They repent, turn from their sins and obey GOD. The story of Joseph was GOD’s Plan, to bring the children of Israel into a land not theirs, the land of Egypt, to make them a great nation. And we taught on repentance, and repentance is this. Turn away from all your sins. Sin is breaking The Law of Moses. And turn yourself to The LORD, and that is accomplished by following GOD and Messiah, walking in His Statutes, obeying His Law of Moses, and keeping His Commandments. And The LORD will give you a new heart, a heart that obeys GOD, and He will give you a new Spirit, The Holy Spirit. And you will have life, and you will have it more abundantly, and you will be perfect before GOD. Shalom. This morning’s teaching will continue on the story of Joseph. But we will also discover, I believe, some of the reasons why The LORD GOD CHOSE EGYPT to make the Children of Israel a great nation, a land not theirs, and not Canaan where they were currently living, which is Israel today, the land given to them by The LORD for an everlasting possession. Because that is why The LORD GOD sent Joseph to Egypt, to bring the Children of Israel into Egypt. But first, let’s continue with Joseph. Our reading is from Genesis 43.15-18. 43.15 This is the 2nd time Joseph’s brothers had come to Egypt to buy food during the severe famine. And this famine was not only in Egypt but in all the surrounding countries including Canaan where Joseph’s family lived. Canaan is today’s Israel and it borders Egypt on the south, and Egypt had food. And Canaan felt the sting of hunger because of the famine, and their father Jacob had sent them down to Egypt to buy food. His brothers now standing before Joseph, had no idea who he was, except that he was the ruler of Egypt dispensing food to everyone who came to buy. They lost track of him after they tossed him into a pit, an empty pit on the desert years back rather than killing him becuase of their hatred and jealousy they had toward Joseph. He was lifted out by stangers, Midianites, sold into Egypt and years later, here he is in front of his brothers, the governor of Egypt, ruler under Pharaoh. And Joseph knew well who they were. The first time they came to Egypt to buy food, he accused them of being spies. And he did not reveal himself to them. Joseph truly loved his brothers, and I know there are many theories about Joseph taking revenge on them, etc., but I think Joseph wanted to see his younger brother Benjamin, and he was also having a good time playing with them at their expense. They deserved it. So he locked Simeon up in prison and sent them back to Canaan to get their brother Benjamin who was the baby of the family. And Jacob, well he was not particularly happy with that, but out of necessity because of the famine, and Joseph’s words, he sent him, he sent Benjamin. 43.16 SLAY – TAHVAH – slaughter an animal for food. When his brothers first came to Egypt to buy food, they of course brought money for the purchase. However, when Joseph sent them back to Canaan with bags of food, he also restored their money in their sacks. And when they opened their bags and saw their money inside, The Bible says, their hearts failed them. That is, they were frightened, and said, what is this that GOD has done to us? Their 2 trips to Egypt have been rough, but Joseph I think was having a good time, probably smiling about all their struggles. 43.19-22 So now the brothers are back. This time in Joseph’s house, telling his steward, the one in charge of his house, we did nothing wrong. 43.23 Joseph chose a godly man to be his steward, and no doubt he was the one who restored their food money inside their bags. 43.24-25 VERSE 25 They prepared the present for Joseph when he would come to the house for lunch. Jacob had told his sons to bring a present to the man in Egypt. Balm, which is a small plant that brings soothing relief and healing. Myrrh, which is also a plant used for medicinal purposes, and for perfume, and also some fruits, the best in the land, some honey and spices, nuts and almonds. That was the present for Joseph, the man in Egypt. It’s not very often that someone who accuses you of being a spy will invite you to their house for lunch, but Joseph did. This was his family. He loved them, and he wanted to be with them. But still, they had no idea this ruler of Egypt was their younger brother Joseph. 43.26-30 VERSE 30 His emotions and compassion. He was moved and overcome when he saw his younger brother Benjamin. 43.31-32 Joseph played the Egyptian game of stupidity, because, I guess, he didn’t want to give himself away. That is, not eating with Hebrews, not eating with Jews because that was an abomination to Egyptians. But why the separation, even 4,000 years ago? Why even then, the anti-Semitism and Jew hatred? The answer is satan. Not only does satan deceive the nations by leading them astray from the Truth of GOD, he is also the father of anti-Semitism, Jew hatred. As Yeshua said in John 8.44, satan was a murderer from the beginning. How is that? Because he deceived Adam and Eve the same way he deceives the masses today. Leading them away from the Truth of GOD. Giving them FALSE REASONS not to obey GOD, not to obey His Word and His Law of Moses. Thus he is a murderer from the beginning. You know, Adam and Eve were created to live forever in the Garden of Eden, the Garden of GOD, but because they listened to satan and not GOD, they died years later. satan is the father of lies and the father of anti-Semitism, even 4,000 years ago. satan is the messenger of anti-Semitism, even today. REVELATION 12.9 satan has been kicked out of Heaven. REVELATION 12.10 The accuser of our brethren. Our brethren are the Jewish people. The woman is symbolic of Israel and the Jewish People, who gave birth to The Messiah Yeshua in His human nature. The 12 stars are symbolic of the 12 tribes of Israel, Jacob’s 12 sons, and the 12 apostles who were all Jewish. REVELATION 12.13 satan persecuted the woman, the Jewish people. PERSECUTED – satan pursues after the Jewish people with oppression, ill-treatment, torment, torture, terror, etc. Anti-Semitism is prophetic. GOD prophesied it at the beginning of The Creation. And it may surprise you when you read in The Bible, Who created anti-Semitism and brought it into the world. GENESIS 3.15 And I WILL put enmity between you and the woman. GOD created anti-Semitism satan carries it out. (Genesis 3.15) beween you, satan and the Jewish People, and between satan’s demons and her, Israel’s descendants, the Jewish people. – it or He, Messiah will DESTROY you satan. – you satan will cause Messiah to suffer at the crucifixion. So GOD creates evil. He also created anti-Semitism, by putting enmity and hatred between satan and the Jewish people. Why? A couple of reasons. 1. 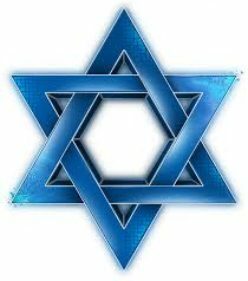 I think anti-Semitism is a vehicle of GOD to bring this world to an end, to bring all the nations of the world against Jerusalem to battle at some future time. Maybe earlier than later. And the nations will attack Israel for no other reason then because of anti-Semitism. Messiah will then return to save His People from destruction, and set up His 1,000 year Millennial Kingdom in Israel which He will transform into Paradise. ZECHARIAH 14.1-13 anti-Semitism will be the cause of the battle. 2. anti-Semitism is used against Jewish people because most disobey The LORD their GOD. satan is also used against the nations because most disobey The GOD of Creation. GOD does everything and creates everything. He forms the light, and creates darkness. He makes peace, and creates evil. The LORD does all those things. GENESIS 43.33-34; 44.1-5 VERSE 5 I don’t think Joseph divined. That is magic. Joseph was acting like an Egyptian. 44.6-13 Oy vey, they’re thinking. ; We’re dead men in the eys of our father Jacob. Benjamin is not coming back. 44.14-34; 45.3 They trembled before Joseph. They were afraid and anxious and amazed. 45.4-5 And also to bring the Children of Israel into Egypt. When at the time, no one, not Joseph or his brothers or his father Jacob were aware of GOD’s plan for Joseph to bring the Children of Isarel into Egypt. 45.5-15 Joseph was right when he said in Verse 8, it was not you who sent me to Egypt, but GOD. GOD’s mission for Joseph was to bring the children of Israel into Egypt, which he did. Thus partially fulfilling GOD’s prophecy to Abraham that his descendants, the Children of Isarel will be strangers in a land not theirs. That land was Egypt. But why did GOD choose Egypt to make Israel a great nation, and not Canaan where they were currently living which today is Israel, The Land GOD gave to the Jewish people for an everlasting possession? I believe that sending His People, the Children of Israel to Egypt, and having them live there some 430 years, IS A BLUEPRINT, A PATH for our life and relationship with GOD and Messiah Who are One and the same. It reveals the path to Salvation, the path to eternal life, and the path to The Millennium and to Paradise in Heaven forever. These are some of my thoughts why GOD chose Egypt and not Canaan to make Israel a great nation. 1. Israel or Canaan on the south borders Egypt. It is very near as GOD and Messiah are very near to us, to call on Him at all times and to hear Him. GOD and Messiah are near to us. When we hear The Word of GOD AND DO IT, we have a relationship with GOD and Messiah. And that is the only way too have a relationship with the Lord. 2. There is no greater walk in life, no greater relationship than with GOD our Messiah. But there is from time to time some suffering and tribulation as the Children of Israel experienced in Egypt. 3. Some 3 million Jews and many Gentiles came out of Egypt TOGETHER in the Exodus and GOD commanded all to obey The Law He gave to Israel. That has not changed today, and will never change. 600,000 men of military age, 20 and older. Perhaps 2 1/2 to 3 million people. Let’s talk about circumcision to the non-Jewish male Believer. MATTHEW 16.19 Whatsoever you BIND or REQUIRE on earth,will be required in Heaven by GOD. Whatsoever you LOOSE or DO NOT REQUIRE on earth, such as circumcision to non-Jewish male Believers, will not be required in Heaven by GOD. I believe Messiah’s disciples asked him to release non-Jewish male Believers from circumcision because it might turn some away from the faith. And he agreed. 4. GOD brought His People to Egypt to show the world many of His great wonders and miracles. 5. These are some of the words GOD spoke to Israel and the mixed multitude in the wilderness. Will you keep My Commandments or not? Will you live by every Word GOD speaks, or not? GOD tests us and He examines us as He did the Children of Israel and the mixed multitude. Today GOD puts His Law in our hearts the moment we believe in Messiah. Will we obey Him or not? 6. We are GOD’s chosen people, special, peculiar, above all the people of the earth. But believing in Messiah also requires obedience to GOD as He commanded the mixed multitude. 7. And Joseph is symbolic of Messiah. Joseph did not reveal himself to his brothers until the second time they came to Egypt. Likewise, Messiah will reveal Himself to His Jewish brethren at His second coming, when He returns to Israel and sets up His Kingdom, the 1,000 year Millennium. And then by GOD’s path, His road map, you will enter the Promised Land, Eternal Life in Heaven. Shalom and good morning. Our teaching today comes from the story of Joseph. Our verse is Genesis 43.15. BALM – small plant of the mint family that soothes, relieves or heals. MYRRH – a fragrant but bitter gum from a plant which was used medically, and also as a perfume. The story of Joseph which occupies 13 of the 50 Chapters in The Book of Genesis, is one of the great stories in The Bible. He was hated by his brothers, sold into Egypt as a slave by a caravan of Ishmaelites, tossed into prison for a crime he never committed, but later on made governor and ruler of Egypt because GOD was with him, and gave him the power to interpret dreams, especially two dreams that Pharaoh had in one night. The interpretation being that Egypt would suffer a severe seven year famine. And that famine impacted the surrounding countries which included Canaan where Joseph’s family lived, and GOD called the Children of Israel. And now we read that Joseph’s 10 brothers stood before him to buy food for themselves and their families in Canaan. And they had no idea that this was their brother Joseph who is now the ruler of all Egypt. These are the same brothers who hated Joseph and thought to kill him. But Joseph knew full well who they were. Although they were in Egypt to buy food, this was GOD’s way to bring them down to Egypt to fulfill His prophecy He made with Abraham some 200 years earlier that the Children of Israel would be strangers in a land not theirs, that is found in Genesis 15.13. That land of course was Egypt. And here Joseph’s 10 brothers are standing before the Governor of Egypt, the ruler under Pharaoh not knowing he is their younger brother Joseph. GOD’s prophecy and covenant with Abraham was beginning to be fulfilled. His Plan to bring the Children of Israel into Egypt was working perfectly. I’ve titled this message, GOD rules, directs and guides history. And the reason GOD rules, directs and guides history is because GOD makes history, all history, for His purpose. These past few weeks we have been teaching just that, that GOD rules history. History can be explained as all events, past, present and future. GOD has made it and He rules it. He rules the nations, He decides all times. GOD rules everything, just as He did in the life of Joseph and Israel. It is all pre-arranged by GOD and pre-determined by GOD even before the Creation of the world. The story of Joseph and Israel is a direct result of GOD’s pre-determined Plan for Israel and Salvation for all mankind. The word predestinate comes from the Greek word pro-or-id-zo which means to decide beforehand or choose and elect beforehand. Webster’s Dictionary describes pre-destinantion as GOD in His foreknowledge or His knowing beforehand of all events, guides those who are destined for Salvation. And in addition to pre-destination, GOD has made all history, and all events. He guides it, rules it, and directs it. And that includes all humanity. You and me and everybody else, for His purpose, from beginning to end, and throughout eternity. Thus GOD has made history and prepared it before the Creation. That is why The LORD can promise the Children of GOD these words: “For I know the thoughts that I think toward you, saith The LORD, thoughts of peace, and not of evil, to give you an expected end of hope and a future”. (Jeremiah 29.11). So with that said, let’s look at a few examples of pre-destination and other plans GOD made before the Creation. FOREKNEW – to know and choose in advance before the Creation of the world. GOD, before the Creation, chose the Jewish people and Israel to be His Chosen People, to be His servants, and to be His witnesses to the world to declare the truth of the one GOD of Creation, and to bring forth The Messiah in human nature for all the world. The entire Bible is written by Jewish people. FOREORDAINED – GOD knew and chose The Messiah in advance before the Creation of the world. Let me say this. GOD chose Himself to be The Messiah well before the world was created. That is why The LORD says often, “for I AM The LORD your GOD, The Holy ONE of Israel, your Saviour”. The Saviour Who saves, delivers, defends and has Salvation, and helps us. BEFORE THE foundation of the world – Before the world was created. GOD’s works are everything He made, created and planned. They were finished before the world was created and performed after the Creation. That is why GOD knows the end from the beginning. ENTER INTO MY REST – is peace with GOD. The world does not have peace with GOD because the world is taught in many of the halls of religion to disobey GOD, to reject His Commandments and His Law of Moses. Thus the turmoil of today. INHERIT – to be an heir of everything GOD owns, and He owns everything. ORDAINED – planned and prepared before the world was created. The wisdom of GOD is His Word and His Commandments and it is a mystery and hidden, and so few know it. The Bible teaches GOD’s wisdom in PROVERBS 2.1-7. GOD chooses before the Creation, who will be His and who will not be His, as in the case of Jacob and Esau. That is election for the purpose of GOD. GOD knew us even before He made us, our looks, our form and everything about us. SUBSTANCE – GOLEM – unformed body. YOUR BOOK – could be The Book of Life or a list of all people born or will be born. CONTINUANCE – YOM – could mean everlasting, even into eternity. WERE FASHIONED – YAHSTAHR – squeezed into shape and formed. All this before the Creation for every human. This is an important teaching. GOD chose before the Creation certain people to be conformed to the image or likeness of His Son. We are to be like Messiah, having His qualities, especially living our life as He did. By every Word of GOD, His Law of Moses and His Commandments. CONFORMED TO THE IMAGE OF HIS SON – to be like Him. HE IS THE FIRSTBORN – Messiah is the firstborn of every creature. He is brought forth from GOD, sent from GOD. He is The Son of GOD, and He is GOD, The one GOD of Creation. He is Elohim, El Shaddai, The Everlasting Father. Yet He is the firstborn, having no beginning and no end. And when Messiah returns, we will see Him, Face-to-face, The Mighty GOD, The Everlasting Father. TOO HARD – PAHLAH – too great, too difficult, too wonderful to accomplish, too hard to happen, too marvelous to perform, nothing is too hard for GOD. that brings us to a statement I made earlier that the story of Joseph and Israel is a direct result of GOD’s pre-determined Plan for Israel and for the Salvation of all mankind. Paul teaches in Ephesians, instructing non-Jewish Believers in Messiah to become part of the Commonwealth of Israel. Not necessarily to become Jewish, but become part of the Commonwealth of Israel. The Commonwealth of Israel means, non-Jewish Believers should become spiritual citizens of Israel. That is, joined to Israel through Messiah, having a way of life and conduct which comes from observing The Law of Moses which GOD gave to the Children of Israel to live by. Just as Paul teaches, we must be conformed to the image or likeness of His Son. We, Jewish and non-Jewish must live our life as Yeshua lived His, in accordance with GOD’s Law of Moses, The Torah. 2.12 ALIENS – alienated, apart from the Commonwealth of Israel. Not participating with the citizens of Israel. Not participating with the citizens of Israel by living by The Law of Moses. You were not living according to Torah. WITHOUT GOD – ATHEOS – GODless, without GOD. FAR OFF – very far away. 2.14 BOTH ONE – Jew and Gentile are both one in Messiah. MIDDLE WALL OF PARTITION – the enmity between Jew and Gentile. 2.15 EVEN, that is, written in The Law of Commandments. The Believing Jew and Gentile who follow GOD’s Law of Moses become one new person in Messiah, Holy, GODly and Righteous. 2.16 Both become family, in the family of GOD. No more enmity or division. 2.17 Messiah preaches peace to both of us. 2.18 Through Him, and because we have The Holy Spirit, we have access and admission to The Father. 2.19 You are not strangers or foreigners anymore but FELLOWCITIZENS with the Jewish People, especially those who believe in Messiah and keep Torah, The Law of Moses. 2.20 A foundation is an underlying base or support, which is Messiah, The Chief Cornerstone. He is our GOD, our Teacher, and so much more. And that foundation, that base and support is also The Law of Moses which we all must live by. The Apostles, the Prophets and Yeshua The Messiah Himself are all Jewish, all obeyed GOD, and all obeyed Torah. 2.21 We become a spiritual holy temple, a spiritual building with The Holy Spirit living in us. 2.22 And GOD lives in us, and like the Apostles, the Prophets and Yeshua, all lived by Torah, GOD’s Law of Moses. And by doing what GOD teaches, and as Paul explains, GOD leads us into eternal life into The Millennium in Jerusalem and Eternity in Heaven. Shalom. Our teaching this morning is from Genesis 41.41-44, and we will experience the genius of GOD and how He makes and guides history. After Joseph had interpreted Pharaoh’s two dreams, telling him there will come almost immediately seven years of great abundance of food and grain throughout the land of Egypt, and following that will be seven years of famine that will be severe and hard. And the abundance of food, he said, will be forgotten, and the famine will consume and destroy the land. However, Joseph went on to tell the Pharaoh how to deal with the situation. Find a man, he said, with wisdom and understanding and set him over the land of Egypt, and in a few words, Joseph laid out a plan to save Egypt from destruction because of the famine. And The Bible says, “the thing was good in the eyes of Pharaoh, and in the eyes of his servants.” And the king said to his servants, “Can we find such a one as this is, a man in whom The Spirit of GOD is?” And Pharaoh placed Joseph in charge of all the land of Egypt. It is undeniable. GOD makes and controls history. His entire plan for history was completed before the Creation. And this is part of His plan, part of His overall plan, to bring the children of Israel into Egypt as He promised Abraham. His plan is working perfectly. Joseph is now ruler in Egypt by the Hand of GOD, 2nd in command to Pharaoh, and in a short time, a severe famine will fall upon Egypt and all the surrounding countries including Canaan where the children of Israel lived with their father Jacob. Pharaoh appoints Joseph ruler over all Egypt. Determined it (everything), decided it, devised it, thought it out and guides it. SEE VERSE 24. DISANNUL it – PAHRAHR – no one will make it void or of no effect, no one will revoke it or change it. History is exclusively in GOD’s Hand. It is predetermined by The LORD, predestined and prearranged. That is why GOD can announce the end from the beginning. He is The GOD of Creation, and The GOD of history. As we are taught in Hebrews 4.3, His works were finished from the foundation of the world. GENESIS 41.44 Pharaoh gave Joseph complete charge over all the land of Egypt. This was also of GOD for His plan to bring the children of Israel into Egypt. So Joseph is now Governor of Egypt, a prince and a ruler with great power. From being hated by his brothers who thought to kill him, but rather tossed him into an empty pit without water, lifted out by Midianite merchantmen, who sold him to a caravan of Ishmaelites for 20 pieces of silver, who then took him down to Egypt and sold him for a servant. But The Bible says, The LORD was with Joseph. However, part of GOD’s plan was to have Joseph tossed into an Egyptian jail for a crime he never comitted. There, he interpreted the dreams of two of Pharaoh’s officers, and a while later, he interpreted Pharaoh’s dreams. Pharaoh then promoted Joseph to be ruler of Egypt, because as Pharaoh said, “Can we find such a one as this to solve our famine crisis, one who has wisdom and understanding, a man in whom the Spirit of GOD is”. Joseph is made prime minister of the land, and it is all part of GOD’s historic plan to bring the children of Israel into Egypt. He who explains what is hidden. POTI-PHERAH – POTI-FERAH – who belongs to the sun. PRIEST – an important religious man in Egypt. The famine was in all the countries, not just Egypt, but Egypt had bread. BREAD – LEHKHEM – bread or grain, food, fruit and meat. So everybody, whether they lived in Egypt or another country, such as Canaan, today’s Israel which borders on Egypt, where the children of Israel lived, all had to go to Joseph for grain. This is also the plan of GOD. And Joseph’s 10 brothers went down to Egypt to buy corn. All very much the Hand of GOD. GOD made a covenant with Abraham that his descendants, the children of Israel would be strangers in a land not theirs. The land was Egypt. They would be afflicted by the Egyptians 400 years as slaves. GOD would judge the Egyptians and then take them out to their own land, Canaan, which He would rename Israel. That is why Joseph is so prominent in The Bible in the eyes of GOD, and so important in Jewish history. Because he was the one who brought the children of Israel into Egypt fulfilling much of GOD’s covenant to Abraham. Let’s look at that covenant again. Although this story of Joseph and his brothers is one of the most heartwarming stories in The Bible, I am continuously amazed at the supernatural power and grace of GOD. His genius, His sovereignty, His wisdom to make and guide history according to His will and according to His purpose. To announce what will happen, the things that will take place in the future, to declare the end from the beginning the things that are not yet done. Because the Creator of all things, GOD Almighty has created the beginning and brought about the end by Himself. He alone has formed everything and designed everything in history and in our lives, from the beginning to the end, and beyond. The LORD says, “For the former things are passed away, that is, the old order of sin and grief. And I will make all things new,” speaking of the 1,000 year Messianic Kingdom in Israel, and eternity in Heaven. GOD has done it all, and will do it all. The LORD of hosts is His Name. You may know Him better as Yeshua ha Mashiakh, Yeshua The Messiah, Emanuel, GOD with us, The Mighty GOD, The Everlasting Father, The Prince of Peace. He is The Creator and maker of history, all history. So now the prophetic picture of GOD’s covenant with Abraham is fully developing. The fathers if you will, the fathers of the House of Israel, Joseph’s brothers are on their way to Egypt because of the great famine brought on by The LORD. They are coming to Egypt for help. And who will they come face-to-face with for help? Their brother Joseph whom they hated. And that was part of GOD’s plan also. His brothers had tossed into a pit, and that was also of GOD. There can be pain and suffering at times if GOD has a mission for you. And all that when Joseph was 17 years old. Now he’s in his thirties, ruler of Egypt, 2nd in command to Pharaoh, and unknowingly, his brothers are coming to him for help, life-saving help, for all the House of Israel. There were 66 in Canaan, Joseph and his Wife and their 2 children were in Egypt. And Joseph will not disappoint. He by the Hand of GOD will save his people Israel, and bring them into Egypt. GOD’s covenant, or part of GOD’s covenant to Abraham is about to be fulfilled. VERSE 45 Can you think of any other law besides The Law of Moses that GOD gave to all mankind to live by and obey? I don’t know of any other law other than GOD’s Law of Moses. And because man has made their own laws apart from GOD, The Laws of GOD have no effect, causing man to transgress and sin against the Lord God. Thus as Isaiah said, “This people draw near to Me with their mouth, and honor Me with their lips, but their heart is far from Me”. That can be said about all peoples. GENESIS 42.1-6, Joseph’s dream when he was a 17 year old kid is fulfilled. His brothers bowing down to him. The two dreams as far as interpretation is concerned are one and the same. At some time in the future, his brothers will bow down to him. But why? Why did GOD give Joseph those dreams? His brothers will bow down to him because Joseph will have the authority and power to save them, and all Israel, and accomplish GOD’s plan to bring the Children of Israel into Egypt. GENESIS 42.7-38 Verse 9 – The nakedness of the land – To spy out the land that is not protected. VERSE 34 – Traffic in the land – You will be free to move about the land. GENESIS 43.1-15 VERSE 9 – SURETY – guanantee his safety. REQUIRE HIM – hold me responsible. VERSE 15 – and they stood before Joseph. His 10 brothers stood before him tired, exhausted and maybe a little nervous. Picture it. A very long trip on camel or donkey, and they were exhausted and I think a little nervous also. You know, nothing in our lives happens apart from GOD. It does not happen unless GOD ordains it. In fact, nothing happens in our lives or in history unless it is the will of GOD. The famine in Egypt and in Canaan, Joseph now ruler and governor of Egypt, 2nd in command to Pharaoh, king of Egypt. Jacob saying to his sons, Go down to Egypt for I have heard there is food there, that we may live and not die. And now Joseph’s brothers are standing before him, not knowing who he is, but he knows well who they are. Picture it. The kid they hated and thought of killing, their life is now in their brother’s hands. The life of all Israel is in Joseph’s hands. And GOD’s covenant to Abraham made some 200 years earlier, is soon to be partly fulfilled. The children of Israel will be strangers in a land not theirs. And their brother Joseph at that time in history is Governor and Ruler of Egypt. Oh the depth of the riches both of the wisdom and knowledge of GOD. How unsearchable are His judgments, how unsearchable are His ways. (Romans 11.33). The ways of GOD were hidden from Joseph. They were hidden from Jacob. But GOD’s plan, a miracle, and a wonder is being carried out perfectly. They would be strangers in Egypt. And after the death of Joseph and all his brothers, and all that generation, the children of Israel would be afflicted, cast into slavery 400 years, and then led out of Egypt with great wealth, and led by GOD at the hand of Moses to the land of promise, Canaan which today is called Israel, and brought in by Joshua. GOD brings about history. He makes it, He moves it, He guides it, He by Himself decides it, from beginning to end and throughout eternity. The secret things such as GOD’s plan to bring the children of Israel into Egypt using Joseph as His instrument, and other secrets of GOD, belong to GOD. They are not revealed to us right now. But those things revealed to us, and to our children FOREVER, are the words of all His Law of Moses to do them. He has revealed them to us and to all the world, all the words of His Law, to live by them, and to obey them. And what must we do to choose life? This is also revealed to us and our children forever in The Law of Moses. That is the purpose of life, your life and my life. To love The LORD our GOD, obey Him, His Commandments and His Law of Moses. And cleave to Him, stick close to Him, for He is your life and the length of your days that you may dwell in the land which The LORD swore to your fathers, to Abraham, to Isaac and to Jacob to give them the land of Israel which is also the 1,000 year Millennium when The LORD returns, and eternal life in Heaven, the New Jerusalem where there will be no more tears or death, neither sorrow nor crying or pain. For the former things of sin and hurt will have passed away, and GOD will make all things new.